“Star Trek Beyond” star Chris Pine and “Lion” actress Nicole Kidman are the first presenters announced for the 2017 Golden Globe Awards. The Aussie actress is also nominated for Best Performance by an Actress in a Supporting Role in a Motion Picture for her work in “Lion.” Her co-star Dev Patel and the movie are each nominated as well. The star-studded ceremony will take place on January 8 at the Beverly Hilton Hotel. “The Tonight Show’s” Jimmy Fallon has been tapped to host the show this year. 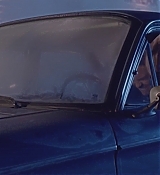 He previously hosted the 2010 Primetime Emmy Awards. Chris to be on Live with Kelly, Jimmy Fallon & James Corden next week! Hey guys! 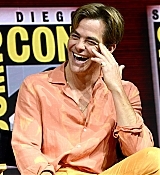 So it appears Chris will be dropping by Live with Kelly, The Tonight Show starring Jimmy Fallon and Late Late Show with James Corden next week to promote Star Trek Beyond which hits theaters on July 22nd. 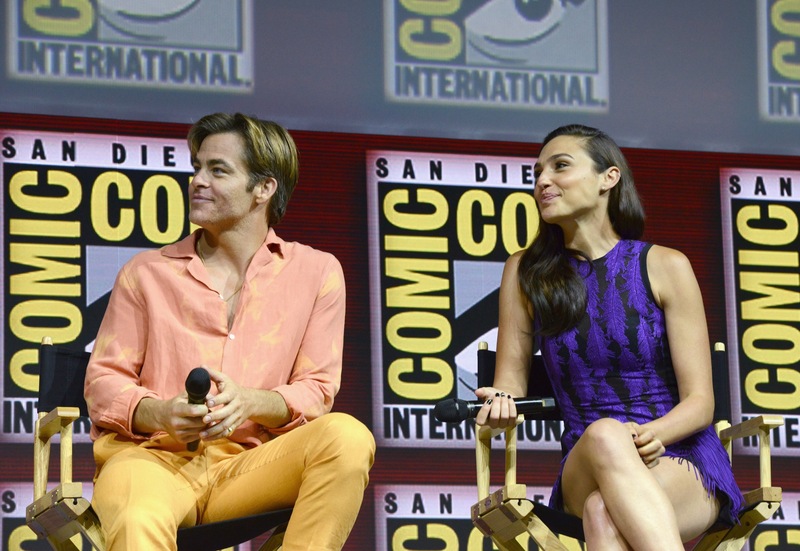 Warner Bros. Pictures will once again commandeer the convention when the Studio’s biggest stars, DC’s best Super Heroes and “worst” Super-Villains, fantastic beasts great and small and more head to this year’s Comic-Con International: San Diego. On Saturday, July 23, beginning at 11:30 a.m., Warner Bros. will showcase several of its most-anticipated upcoming feature releases in its Hall H presentation, headed up by master of ceremonies Conan O’Brien. 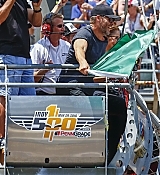 Chris was a special guest at the The 100th Indianapolis 500 on May 29th as he was the honorary starter getting to wave the green flag. 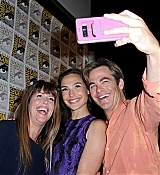 You can check out photos in our gallery now. 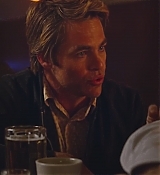 Actor Chris Pine, accustomed to warp speed in modern “Star Trek” films, will have a close-up view of Indy cars traveling 220 mph at this year’s Indianapolis 500. Pine will serve as honorary starter for the 100th running of the race on May 29, IndyStar has confirmed through multiple sources. Known for portraying Capt. 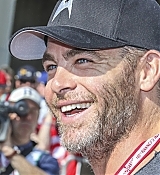 James T. Kirk in two “Star Trek” movies, 35-year-old Pine will wave the green flag at Indianapolis Motor Speedway. 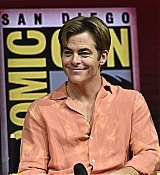 A third film in the series, “Star Trek Beyond,” is scheduled to arrive in theaters on July 22. 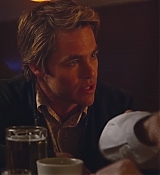 Pine also will appear in a “Wonder Woman” film slated for release in 2017. Other celebrities set to participate in pre-race festivities include Darius Rucker (“The Star-Spangled Banner”), Josh Kaufman (“Back Home Again in Indiana”), Roger Penske (pace car driver) and Keith Urban (riding as a passenger in Mario Andretti’s two-seat car driving ahead of the field). Practice continues today at IMS. The session runs from noon to 6 p.m.